As an avid rock climber and field geologist, I spend most of my time on the road. 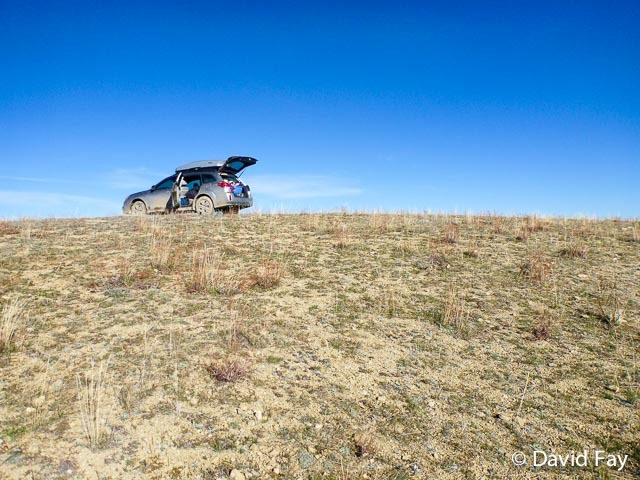 Living far off the beaten track for days or weeks at a time, I’ve had the opportunity to test the Wilson Electronics Mobile 4G Booster in some of the most rural and remote stretches of Colorado and Utah. And it sure excels at doing its job. Keeping in mind that ‘no signal’ is still ‘no signal,’ the Wilson Mobile 4G Booster will—without fail—take a weak signal and make it better. But there has to be something to start with. There has to be something to boost. Wilson Electronics is the first company to make mobile 4G boosters. These boosters work by collecting the best signal from an external antenna attached to the roof of your car and sending it to an amplifier unit. The amplified signal is then rebroadcasted to your phone via the indoor antenna. Along with improving your signal, the Mobile booster will improve your battery life since your phone isn’t working as hard to get a signal. My Wilson Electronics Mobile 4G Booster came with a complimentary ‘Installcard,’ but I never used it, opting to install it myself. The installation went quickly with easy to follow instructions and diagrams. Though there are a few guidelines which are important to follow as you set up your Mobile Booster. First, there are three components to the installation: the outside antenna, the signal booster box and the inside antenna. 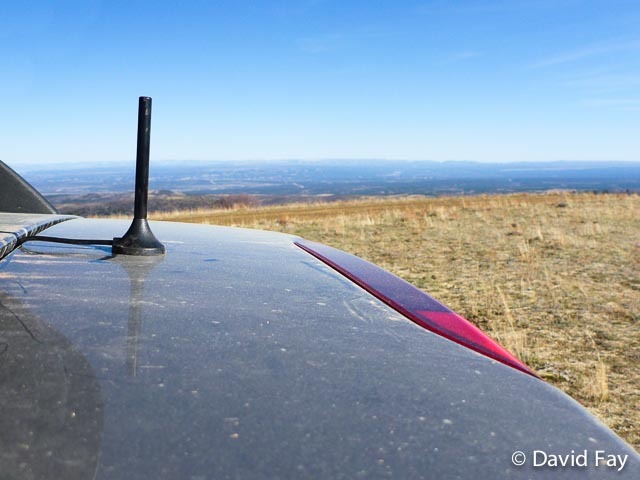 The outside antenna must attach to a metal roof to create a ‘ground plane,’ in addition with being 8” from any windows, 12” from any other antennas and free of obstructions such as that oversized roof box. 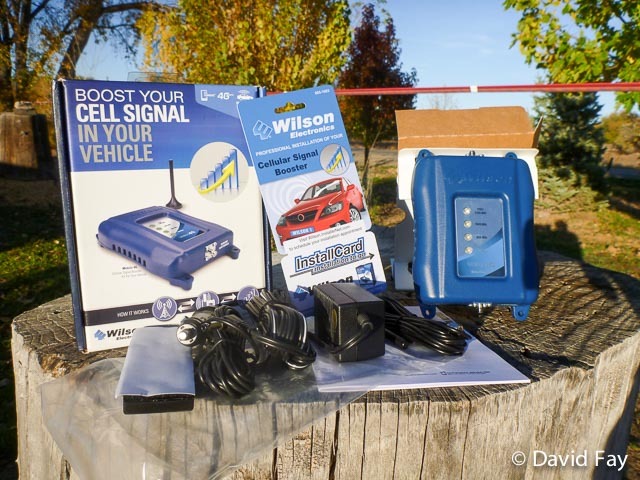 The signal booster box can rest in any nook in your car and is connected to both antennas and a standard 12 volt power supply. The last step is to find a good spot for the internal antenna, it should be at least 18” from where you will use your cell phone. I drive a Subaru Outback and could simply lift up the side paneling and tuck the wires under it and out of sight. If your side paneling is difficult to lift up (generally the case on luxury style cars) and you are going for a professional, wires out of sight, look, I would suggest using the ‘Installcard’ and let someone else do the installation for you. For me the entire process took all of 15 minutes and I am more than satisfied with how it turned out. 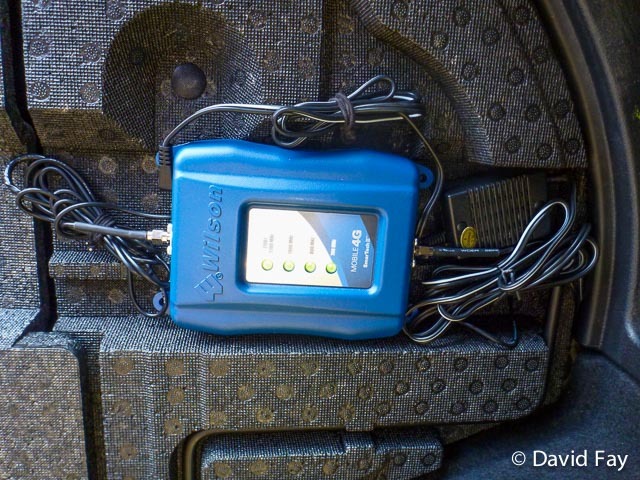 I have taken the Wilson Electronics Mobile 4G Booster to some of the most remote stretches of road within Colorado and Utah. When I’m really out there or deep in canyon country, ‘no signal’ is still ‘no signal.’ But on the fringe of civilization or more accurately, the fringe of cell reception, the mobile booster works great. Through several tests, I have found that I will go from 1 bar to 3/4 or from 2 bars to 4/5 or from 3 bars to 5 bars. In general I gain about 2 bars of service. In practice this translates to going from barely sending a text message to making short phone calls, or from making short, interrupted calls to making long clear and uninterrupted calls. During tests I have found that despite the fact I’m using a mobile booster, my service is slightly better when my car is stationary. So when I need to get out that one call or email, I’m still looking for the best and closest spot, parking my car and then using my phone. But shouldn’t we all be parked to text/email anyways? 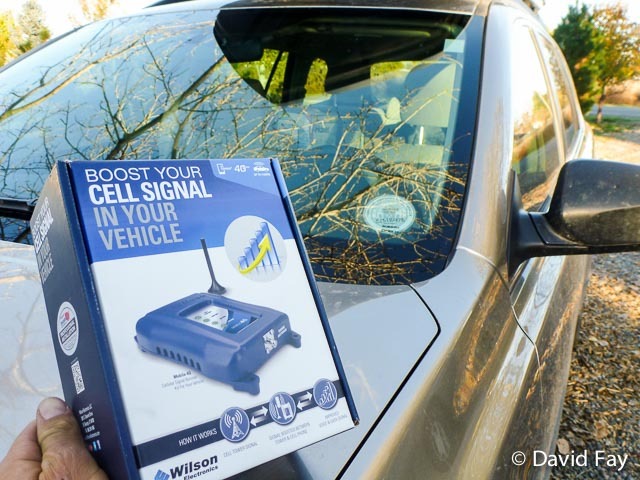 The Wilson Electronics Mobile 4G Booster will bring a weak signal up to a good signal, or a good signal up to a great signal. It excels when you are traveling through areas of patchy coverage—always on the fringe of having great reception, but stuck at one or two bars. Areas with ‘no service’ still have ‘no service’ and while areas of great coverage are still great, you do benefit from an extended battery life. Wilson Electronics has been rebranded as weBoost. Same products, new name. Check out the Mobile 4G Booster on weBoost’s website right here, or if you only need to boost one cell phone and don’t mind a cradle, also check out the weBoost Drive 4G-S—another option from Wilson Electronics at a more economical price.